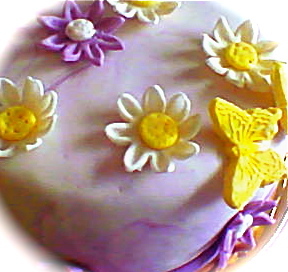 SHORT & SWEET: Marbling Fondant. The technique: I roll out two or three fondant sausages of differing shades. Lay them side by side and then plat them together and then roll ... fold over and role. Simple as that! You can vary the level of marbling by repeating the said process - it really is interesting to see what evolves. My advice is DON'T OVER ROLE' as you can get some murky brown or grey colour appearing! There are some great videos on You Tube which give you the step by step info on getting it right. 'monkeyseevideos' are a great source of info. but there are really lots more. 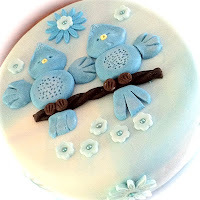 Just write in your browser "How to marble fondant" and hey presto you will find something interesting.